I’ve been wanting to start Little Z with solids as early as 4 months but given all the medical hullabaloo that he went through last year, I knew I had to postpone it. And I was advised against it, too, given that he was having milk reflux when he was a lot younger. I have decided to start him with solids since the little boy is turning 6 months by the end of the week. 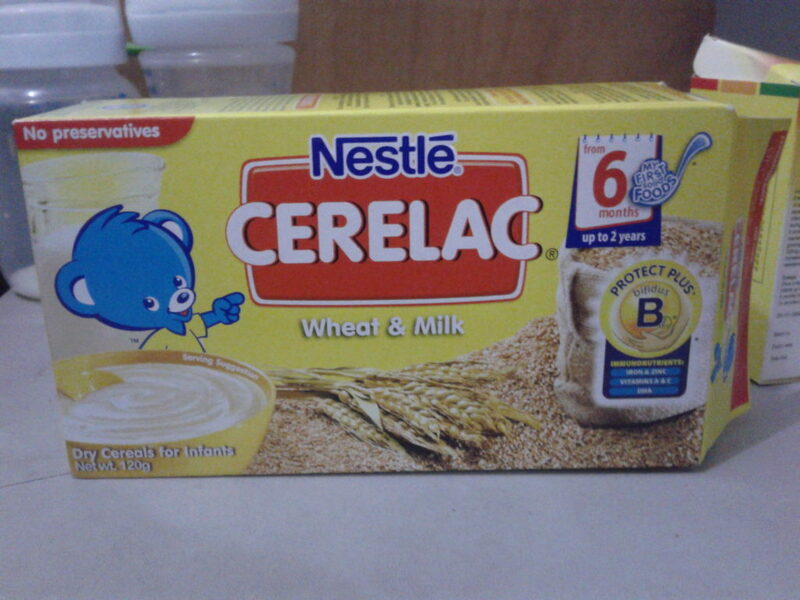 After a few weeks of trying to find something that I can feed him – checking all 1st food of Gerber, Healthy Options and what-nots, I settled down with the good, old, reliable Cerelac. For some reason, they don’t sell the plain ones nowadays. I’ve seen quite a few flavors but no plain wheat, or plain rice. They have wheat and milk or rice and soya and so on. As for Gerber, I was trying to find something that will settle well with the little boy’s stomach just in case but I was a bit worried trying out the flavored ones, too – pears, carrots, squash, apple… Yeah, those ones. With Little Z, I have to be a little bit more careful. Five tablespoon of the powder for 150ml water is a bit too much for now. So I tried a tablespoon with about 50ml water. (Like I said, I have to make it watery just to test it out). Z took about a teaspoon-full for the whole feeding duration. LOL! I guess the little boy wasn’t hungry even after finishing his milk about two hours prior his solid food feeding try out.